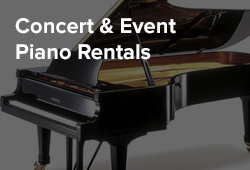 Yamaha grand pianos are the first choice of countless American and international pianists, and are featured center stage in the world’s most prestigious concert halls, music conservatories, international piano competitions, and music festivals. The elegant Chrome hardware, beautifully lacquered interior and signature CX Series sound and touch of the C2X Chrome appeals to today’s diverse tastes in décor, as well as the most discerning musicians. Superb balance and rich tone. Every inch of the compact CX Series instruments exudes Yamaha's passion for the ideal piano. The top model in the CX Series is very close to a concert grand, and “sings” with a voice of refined grace. The GB1K, Yamaha's most compact and affordable grand, is a popular choice for locations where space is somewhat limited, with full resonant tone comparable to that of many substantially larger models. With the power, tonality and expressive range of classic grand pianos, Yamaha baby grands are an admirable choice for smaller rooms and budgets. This Disklavier™ E3 model is the flagship of the CF series. The CFX Concert Grand Piano represents the pinnacle of Yamaha's tradition of piano crafting. Beautifully made and with an exquisite tone across the entire dynamic range, the CFX has the power to project its sound to the furthest reaches of any concert hall. This piano also incorporates a highly accurate record-capable reproducing player system for entertainment and educational uses. The nine foot CFX is a full sized concert grand piano characterized by a wide palette of tonal colors and the ability to create the most subtle expressive nuances. The CFX can project over the sound of a symphony orchestra, even in very large halls. The crowning glory of the Yamaha line, today's CFX concert grand incorporates numerous refinements in performance, appearance and safety, elevating this revered instrument to an even higher standard of excellence. The CF4 will fit in a recital hall or teaching studio, but has a surprisingly big sound. This piano is characterized by a wide spectrum of tonal colors and being able to create the most expressive phrases. The CF6 sounds almost like a full length concert grand with its rich open sound, and its action is quick and responsive. This piano is characterized by a wide spectrum of tonal colors and being able to create the most expressive phrases. This Disklavier™ E3 model is a superb Yamaha S4 Grand Piano, with expressive control that provides the strength and finesse to satisfy even the most demanding musician, which ALSO incorporates a highly accurate record-capable reproducing player system for entertainment and educational uses. This Disklavier™ E3 model is a superb Yamaha S6 Grand Piano, with expressive control that provides the strength and finesse to satisfy even the most demanding musician, which ALSO incorporates a highly accurate record-capable reproducing player system for entertainment and educational uses. With its larger dimensions and heavier construction, the new b2 delivers a superior sound through added depth and volume. For the ambitious performer on a budget, there is no better piano. The introduction of the b3 sets a new professional standard while remaining true to the b Series philosophy. Designed for the experienced pianist and professional musician. Meticulously crafted from the finest materials, the YUS5 offers a refined look in an elegant upright design that delivers expressive control, superb sound and natural touch through Yamaha's own Ivorite keyboard. Designed for the experienced pianist and professional musician, Yamaha U1 upright pianos are made in Japan and feature outstanding tone, touch and durability. 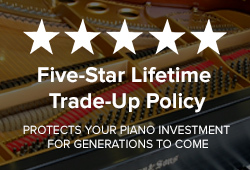 A perennial favorite among discerning pianists, U1 upright pianos offer outstanding musical performance, setting the standards by which many other upright pianos are measured. The tone and performance of the professional studio pianos wrapped in gorgeous cabinetry to enhance the home decor. The combination of beauty, craftsmanship and price represents pure value. Pursuing the utmost piano performance in a classic, simple design, the SU7 is the pinnacle of Yamaha's upright pianos. An expansive soundboard and acoustic chamber give the 131 cm (52") U3 extended power and projection, with the peerless tonal and expressive control of the legendary Yamaha action. Yamaha S Series grand pianos are instruments of rare perfection, handcrafted from the very finest materials to the highest professional standards in the Yamaha concert grand workshop. Incorporating a host of recent advances, today's redesigned S series grands are more impressive than ever, offering concert-quality features and performance for the most demanding pianists. Exemplifying well-established Yamaha design principles, the entry-level b1 redefines the word ‘value.’ Retaining Yamaha standards in every way, the b1 offers the joy of Yamaha ownership at a price that will fit most any budget. 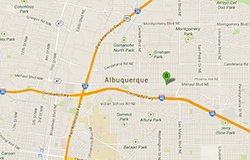 PianoWerkes is proud to be the exclusive Yamaha Dealer in Albuquerque and New Mexico. 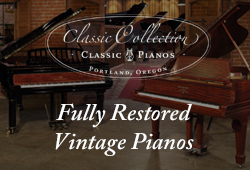 More than a century has passed since Torakusu Yamaha handcrafted the first piano ever made in Japan, followed by the first Japanese grand piano in 1902. Today’s Yamaha grand pianos...distinguished by Yamaha’s registered trademark of three tuning forks...represent unparalleled Tone, Precision of Touch, Dynamic Range, Quality Control, and Lasting Value. Yamaha grand pianos are the first choice of countless American and international pianists, and are featured center stage in the world’s most prestigious concert halls, music conservatories, international piano competitions, and music festivals — Classical, Jazz, and Contemporary idioms. More than any other piano maker, Yamaha builds a piano for every pianist — whether you're a beginner on a tight budget or an accomplished artist, you'll find an instrument of lasting value on which to hone your technique and express yourself. Several pianists on Yamaha’s Artist Roster who are well known by New Mexico audiences include Olga Kern, Frederic Chiu, Sara Davis Buechner, Naida Cole, Anthony de Mare, Alexander Kobrin, Abbey Simon, and Oxana Yablonskaya ― to name a few. Enjoy the Five-star rated video below of Frederic Chiu performing his own piano transcription of Bach'sErbarme Dich from St. Matthew Passion on a Yamaha concert grand. Frederic Chiu was a featured artist at the recent convention of the Music Teachers National Association (MTNA) held at the Hyatt Regency and Albuquerque Convention Center. Abbey Simon has performed with most of the great orchestras of Europe under such eminent conductors as Sir John Barbirolli, Joseph Krips, Sir Malcolm Sargent, Walter Susskind, Colin Davis, Antal Dorati, Rafael Kubelik, George Szell, Wilhelm von Otterloo, Dean Dixon, Massimo Freccia, Eduard van Beinum, Carlo Maria Giulini, Ozawa, Mehta, and Leinsdorf. Frederic Chiu is the recipient of prestigious awards ― the Avery Fisher Career Grant, the Petscheck Award, and the American Pianists Association Fellowship ― it was his elimination before the final round of the 1993 Van Cliburn Competition that first brought him international notoriety. This roused enormous protest, and prominent stories in The New York Times referred to him as the “Maverick American Pianist." Olga Kern, distinguished Russian classical pianist, was born into a family of musicians with ties to Tchaikovsky and Rachmaninoff. Winner of numerous international piano competitions since age 11, she became the first woman in over 30 years to receive the Nancy Lee and Perry R. Bass Gold Medal in the Eleventh Van Cliburn International Piano Competition. Sara Davis Buechner – prize winning pianist at the 1983 Queen Elisabeth Music Competition. She was awarded the Gold Medal at the 1984 Gina Bachauer International Piano Competition, and won the Bronze Medal in the 1986 Tchaikovsky International Piano Competition. Dr. Buechner has many celebrated recordings on the Connoisseur Society and Koch International labels, as well as a library of Yamaha Disklavier files.